Rack up keys in no time with our guide to the best key farming routes in Washington, D.C.
By the time you reach endgame in The Division 2 you will probably have noticed a few rare stash boxes that require The Division 2 faction keys. 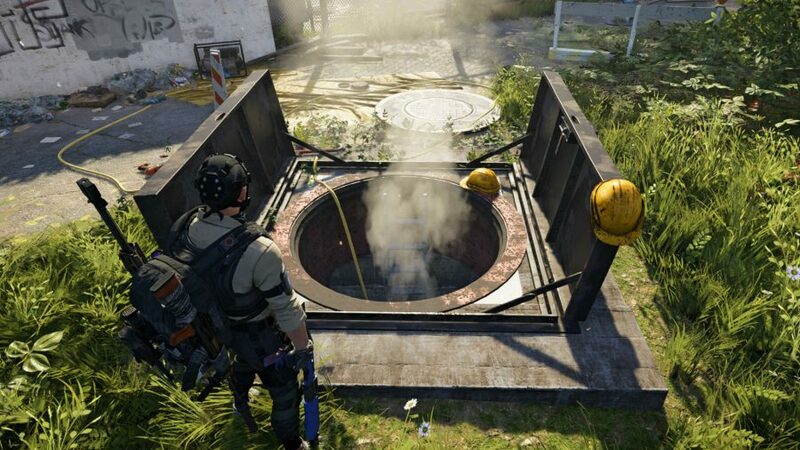 Each faction has a number of stash boxes, which can usually be found in the campaign missions where you encounter them, for example you can find a couple of Hyena stashes in the Grand Washington Hotel main mission. But why do you need to gain access to these loot chests? Simple, faction stash boxes have the potential to drop parts for The Division 2 Exotics like the Liberty Deagle and Chatterbox P90. If you dive into your inventory you will no doubt already have collected a couple of these keys. However, if you’re looking to assemble a weapon like the Chatterbox then you’ll need to gather together five of these faction keys, which is no mean feat. You can find these keys in the underground sections of Washington, D.C. and in particular in little wall-mounted boxes found throughout the system of tunnels. Each box will drop a faction key from one of the game’s four groups though, so getting five keys from the faction you want is easier said than done. Thankfully then, some underground tunnels boast more keys than others, making them the ideal place to search when farming this valuable resource. Below you’ll find our favourite key farming route with a gallery of some of the wall-mounted boxes to help you out. We have no idea why, but the most lucrative sewers and underground tunnels are located in the southern portion of the map between Roosevelt Island and the Washington Monument. There are two underground sections in particular that together will drop well over ten keys. The first underground entrance is just beneath the bridge to Roosevelt Island on the map, and will lead you along the mall. Be sure to check every avenue of the sewer and all the walls while you make your trek. 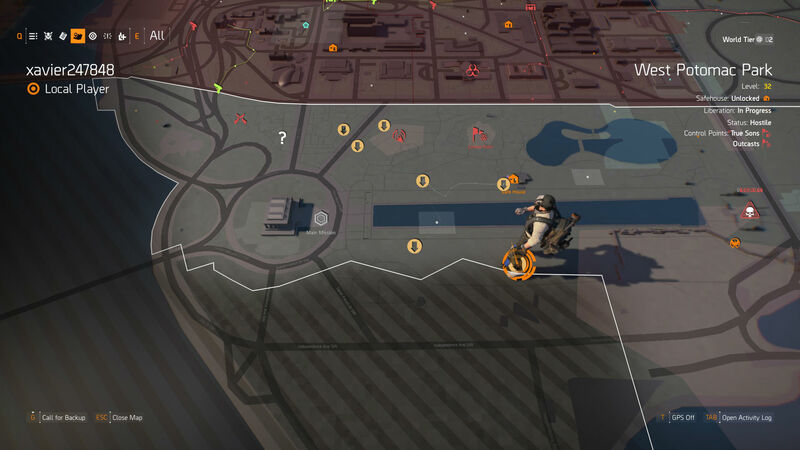 It’s also worth keeping an eye out for doors with yellow bike locks on them – these rooms usually contain a lock box and a couple of loot stashes. Once you’ve finished up you should find yourself a short distance north-east of where you started. Next, head south-east to Henry Bacon Dr NW, where you’ll find three more sewer entrances – all three are connected so check them carefully. The next set of tunnels is south-east on the north side of the Lincoln Memorial Reflecting Pool. Once again there are three entrances for you to check out, with quite a few tangents and rooms to visit. This is a much larger section section of sewers and there are a few places where enemies can spawn in, so be on your guard. By the end of this run you should have roughly 20 keys from different factions, so repeat this every few days to keep your stock of faction keys replenished. 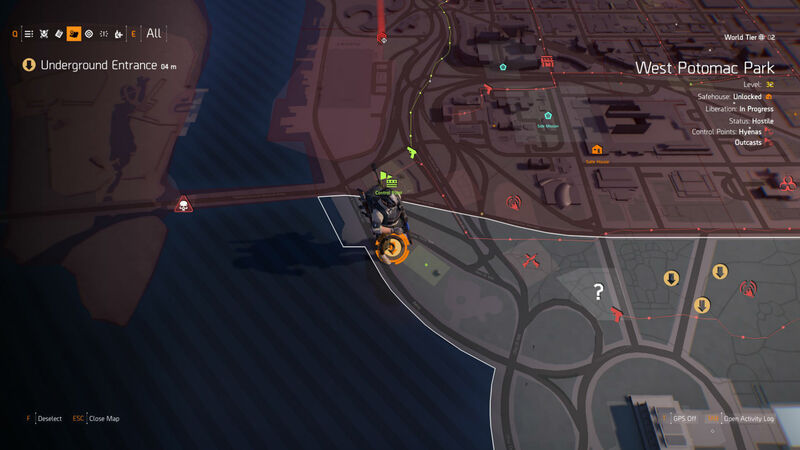 One last tip: donate resources to a nearby Control Point just before starting as this will highlight any loot stashes. They’re easy to spot without, but you won’t find yourself having to check every corner with this buff applied.